ROOSEVELT, Wash. -- Klickitat County authorities have evacuated the entire town of Roosevelt, Washington, because of a fast moving grass fire. Several structures, including barns, have been burned by the fire, which started around 1 p.m. No homes had been lost by Wednesday morning, CBS affiliate KOIN-TV in Portland, Oregon, reports. The county sheriff's office said early Wednesday that the evacuation order was still in effect. Jeff King, the county director of emergency management, said fire crews are focused on structure protection. 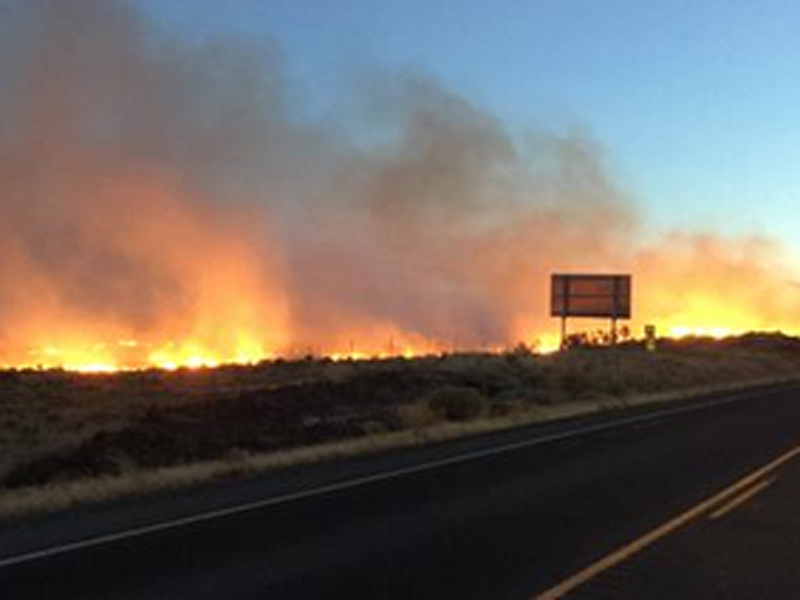 The fire began in southeast Klickitat County and quickly spread east toward Roosevelt, fire officials told KOIN-TV. The sheriff's office issued a mandatory evacuation order for the entire town, which is about 140 miles east of Vancouver, Washington, after the fire jumped over State Route 14. An estimated 300 people have been evacuated. King says the evacuation order was necessary because the fire is all over town. A shelter has been set up in a local school. Six Klickitat County fire departments, plus a team from the Bureau of Land Management and Washington State Air resources are fighting the fire. Traffic is being detoured around a section of State Route 14 that has been closed by the fire. Roosevelt is located on the banks of the Columbia River across from Arlington, Oregon. Roosevelt has a population of fewer than 200 people. It was on the route of the Lewis and Clark Expedition.